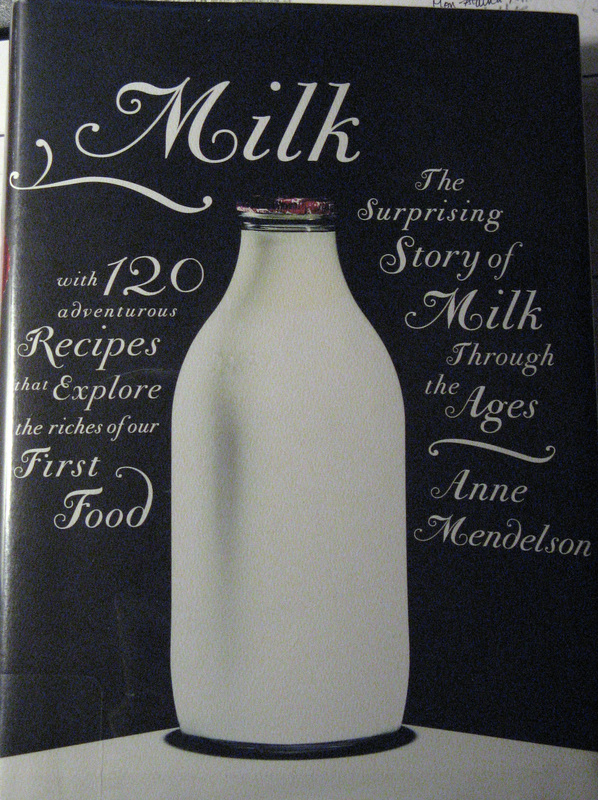 In keeping with our dairy theme this week, I have a wonderful book on milk to suggest to you. Milk: The Surprising Story of Milk Through the Ages with 120 Adventurous Recipes that Explore the Riches of Our First Food by Anne Mendelson is an enjoyable and educational read about one of the most basic building blocks of our modern, western diet. Mendelson begins the book with a short history of how and when animals began to be milked for human consumption, culminating in a chapter on "modern milk" and how we have arrived at the milk we buy at the average grocery store today. Included in the first part of the book are some helpful exercises to perform with milk to begin to get a handle on what Mendelson calls "milk chemistry." She explains how milk is an aqueous (water-based) solution, a suspension, and also an emulsion. She discusses pasteurization, homogenization, and fermentation. Once the history and chemistry of milk is on the table, Mendelson turns to recipes, conveniently categorized under Fresh Milk and Cream, Yogurt, Cultured Milk and Cream, Butter and True Buttermilk, and Fresh Cheeses. Each recipe chapter begins with a discussion and definition of each of these "milk products." The recipes that follow also contain detailed introductions and histories, adding to your knowledge of this food with every paragraph. I would highly recommend this book for any who are interested in doing more with milk (yogurt, cheese, etc.) or for those who are curious about something that may make up a large part of their diet. The suggested recipes will open your eyes to the wide variety of possibilities contained in milk, many of which are little known in the United States. 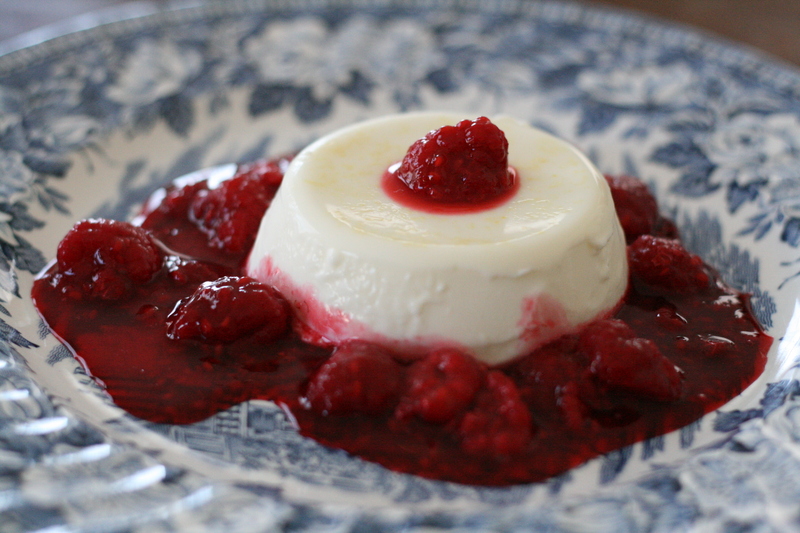 I decided to try a simple Panna Cotta for our Sunday dessert. I was surprised at how easy it was to mix up and how delightful a dessert it made with its silky texture and hint of lemon. It's definitely something I will be making again. Put the gelatin in a small saucepan with the milk and cream. Add the sugar, salt, and optional lemon zest and juice; heat gently, stirring to dissolve the gelatin and sugar thoroughly. If using ultrapasteurized cream, do not quite let it boil. Otherwise, bring just to a boil and remove from the heat. (Make sure the gelatin is dissolved; if necessary, reheat briefly.) If you wish, pour through a fine-mesh strainer to remove the shreds of lemon zest. Let the mixture cool slightly. Have ready six lightly oiled 6-ounce or 4-ounce heatproof glass custard cups. Pour in the mixture and refrigerate until set, 3 to 4 hours. (If keeping longer, cover with plastic wrap; it's best eaten within a day.) Unmold by briefly dipping the bottom of each cup in hot water, then inverting onto a serving plate. Serve with lightly sweetened fresh fruit or a pureed fruit sauce like raspberry coulis.